Streamlining your IT procurement operations can be challenging — but it doesn’t have to be. Optimizing your supply chain through e-commerce has several measurable benefits that are easy to quantify, such as reducing acquisition costs, improving efficiencies and reducing cycle times. Other benefits, however, are harder to quantify but can still be incredibly transformative. Empowering your end users to make smarter buying decisions means giving your team access to a robust set of features that simplify how to find, compare and purchase products. An aligned shopping experience enables your team to focus more on transforming the future of your organization and less on managing daily operations. With Insight’s procurement platform, you’ll gain access to noteworthy features that positively impact your end-user experience. We’re committed to delivering continuous enhancements that enable your end users to shop smarter, which results in more strategic and operative procurement to maximize your technology investments. Let’s explore the most recent updates to e-commerce at Insight. Although not new functionality on insight.com, both of these features have been redesigned with a modern interface and paired with enhanced functionality. Build more what-if scenarios with saved carts. Using saved carts can increase your team’s productivity and simplify product purchasing. In just a few short steps, create a customized saved cart you can access later to analyze pricing, compare products or experiment with different bundles of products for potential orders. Since this permission is controlled at the user level, individuals will have their own profile to try out saved carts and build as many scenarios as they desire. Some of the latest enhancements to saved carts include a new view to more easily expand and collapse saved carts for effortless comparison, the ability to load the entire cart or individual line-level items into the active cart, and better visibility into pricing for contracts or prices that are prorated. To use this feature, ensure permission is enabled at the user level. 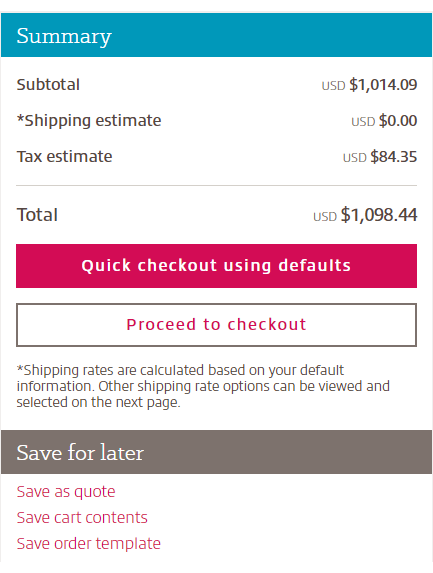 For assistance, feel free to contact your dedicated e-commerce specialist or explore our how-to article about saved carts.. Turn repeat orders into templates. Now you can easily convert any past order into an order template or create a new one from scratch in just a few simple steps. An order template is essentially a saved cart that includes additional information, such as billing preference, shipping address(es) and other client-defined fields for streamlined, repeat ordering. Create an order template for commonly ordered items needed for new hires. Build an order template with client-defined fields for popular products purchased by location or business unit. Design an order template for critical products purchased under a specific pricing contract. The possibilities are flexible enough to meet any of your business requirements. To use this feature, ensure permission is enabled at the user level. For assistance, feel free to contact your dedicated e-commerce specialist or explore our how-to article about order templates. Product ratings and reviews enable smart shopping. In today’s e-commerce market, many consumers credit product reviews as a large contributing factor to whether or not they make a purchase. Product reviews build loyalty and trust and help shoppers better understand what differentiates products from one another. Insight’s updated procurement platform now includes access to product ratings. This new feature is not tied to any permission, so all users will be able to view reviews of products purchased on insight.com. This allows you to see how other clients rate products your organization may want to invest in. Leaving a review on insight.com is easy and can be done in multiple ways. 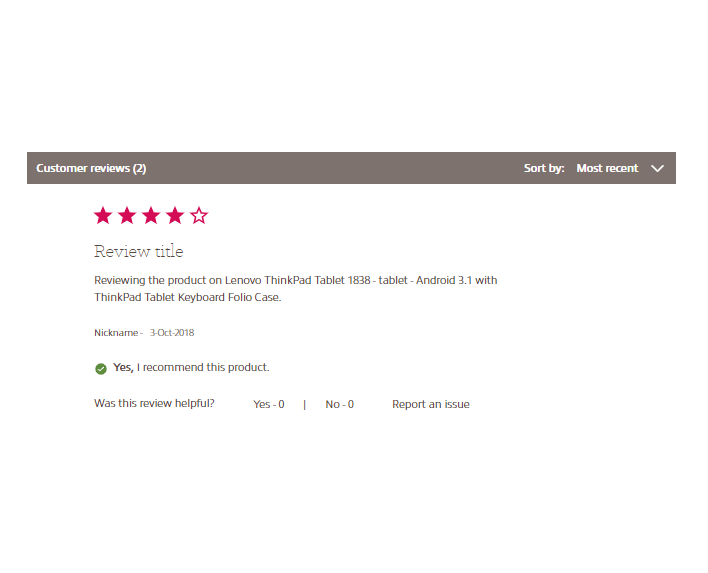 After you log in to your insight.com account, visit any product page to write a review of your own. We’ll also occasionally email you requesting that you leave a review for select products after an order is delivered. View more information about this feature in our how-to article about customer ratings and reviews. What’s been updated or improved? We corrected order and quote data issues that include nontangible items with new default values. Users who’ve disabled the cross-sell permission will no longer receive abandoned cart reminders. We improved communications with account executives and clients about failed orders and orders in a hold status. Due to client feedback, saved quotes can now have a longer name by character count for improved searching and organization. What’s been fixed or remediated? Users can now access our solution areas when performing a search on insight.com. Password reset and welcome emails are now being sent in all scenarios for Canadian customers who speak French. Zip files can now be uploaded during checkout. Discover the future of streamlined procurement. Previously, technology procurement teams had two main objectives: to minimize costs and mitigate risks. But with the increased adoption of cloud services and the demand for digital innovation, procurement has evolved from being just a tactical operation — it now plays a strategic role in differentiating your organization from the competition. At Insight, our streamlined procurement solutions help clients like you manage business today while transforming the future. That’s why we strive for continuous improvement to your insight.com account. What’s coming to e-commerce at Insight? Compare products easier with a brand-new, user-friendly interface and gain the ability to save product comparison lists, share with a colleague or export. Discover a better, more refined shopping experience on mobile or tablet devices. Company standards redesign — stay tuned for more updates in 2019. Maximize your technology investments in 2019. Not using Insight’s procurement platform? An insight.com account will help you invest smarter. The right tools at your fingertips empower you to redefine the performance of your procurement processes and maximize the return on your technology investments. Learn more about our self-service sourcing solutions and create a free account today.